During Florida’s long hot summer the emphasis is on cooling, but it’s also necessary to heat our homes when temperatures drop. An ideal solution for this is a heat pump system which provide both air conditioning in the summer and heat in the winter. An indication that your heat pump may be coming to the end of its usefulness is if your energy bills are increasing – and no other appliance appears to be the culprit. This is because the heat pump uses a large percentage of your total appliance power usage. When it is no longer functioning well, it will cause your electrical bills to rise. Bottom Line: A simple confirmation of the efficiency of your system through scheduled servicing and heating maintenance should confirm whether your heat pump needs repair or replacement. But, if no amount of repairs brings your energy bills down, it’s time to replace the heat pump. Heat pumps work really hard, so it is natural that they may require a repair or two. However, the majority of repairs will occur during the last two years of service. So, if repairs start to come more than a few times a year its time to consider a new system. Frequent repairs are inconvenient, costly and your money is better spent on a new system. Bottom Line: Look over your heat pump repair bills for the past year. If they exceed $500, it might not be worth repairing. There are three environmental tendencies to look for that indicate your heat pump is starting to degrade in effectiveness: reduced heating and cooling, inconsistent heating and cooling and increased humidity. If your heat is not working as well, at the usual setting, or if certain parts in your house are consistently too hot or too cold, something is amiss. Similarly, if rooms are too dry or moist there is a good chance your heating and cooling system is faulty. Bottom Line: These issues may be simple to repair – like a case of blocked vents or a leak in the ventilation system. However if repairs don’t smooth out the problem, then it’s time to call a Custom Climate Concepts professional to look into replacement options. Just like with your car, a ‘funny’ noise, or an increasing amount of noise, coming your system is not a good sign. And, like with your auto, if the noise just started, that is the best time to have it looked into. It could be that these noises are originating from specific components such as faulty ductwork, dirty filters or issues with the motor and can be easily repaired and silenced. Bottom Line: when it comes to noise from your system check individual parts for repair. But when the heat pump gets increasingly noisy, with groans and rattling, then it is time to consider replacing. As Floridians, we put a lot of strain on our heating and cooling systems. Years of constant operation will pay a toll on any mechanical equipment. Even if your heat pump system appears to be operating OK, old age may be enough to warrant a replacement. After all, new systems offer improved performance and efficiency. 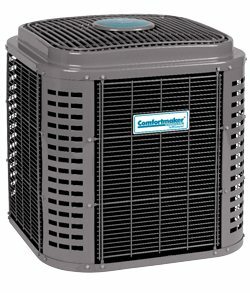 Bottom Line: It is recommended that heat pumps be changed after 10 to 15 years of service.